One could argue that live action versions of all of our favorites don’t need to exist, but I’ll admit I’ve really enjoyed some of them (Cinderella, Beauty and the Beast). That being said – live action Dumbo was not a movie that needed to be made. While they took a fairly different retelling of it that was focused more on the human characters, I didn’t feel like the movie told anything new or exciting that warranted its existence. For the most part I didn’t actively dislike the movie… but it didn’t really do much for me either. We’ve got a totally new storyline happening here, with Holt Ferrier returning from WWI (minus an arm) to rejoin his job at the circus. His two kids, Milly and Joe, are waiting for him, but his wife has passed while he’s been gone. Due to his injury he can no longer do his old job so they put him in charge of the elephants. 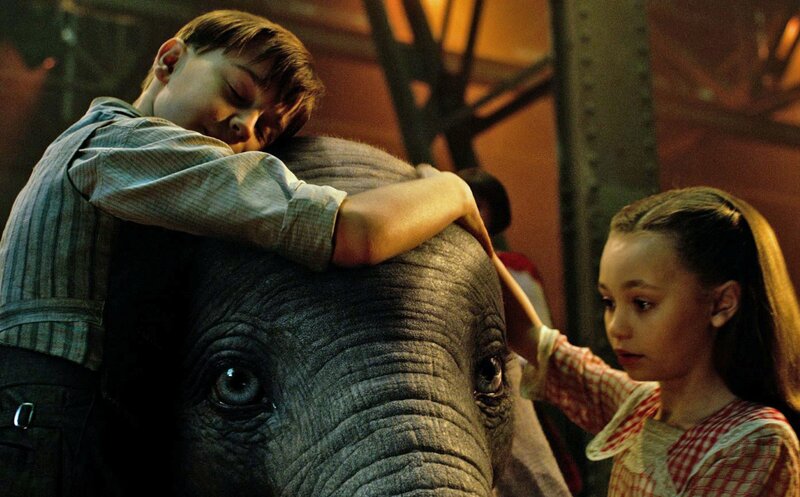 Thanks to the involvement of his children, they discover something special about Dumbo which leads into the second half of the film – the larger “Dreamland” circus run by Vandevere (Michael Keaton) wants to buy out the small family run Medici circus (Danny DeVito) to capitalize on the amazing things that Dumbo can do. Where to begin? I guess I’ll start with some of the positives. The visuals are pretty cool in many spots. Starting at the beginning with the train, Casey Junior, traveling the country, to the shots of Dumbo flying make the movie feel more impressive than it actually is. 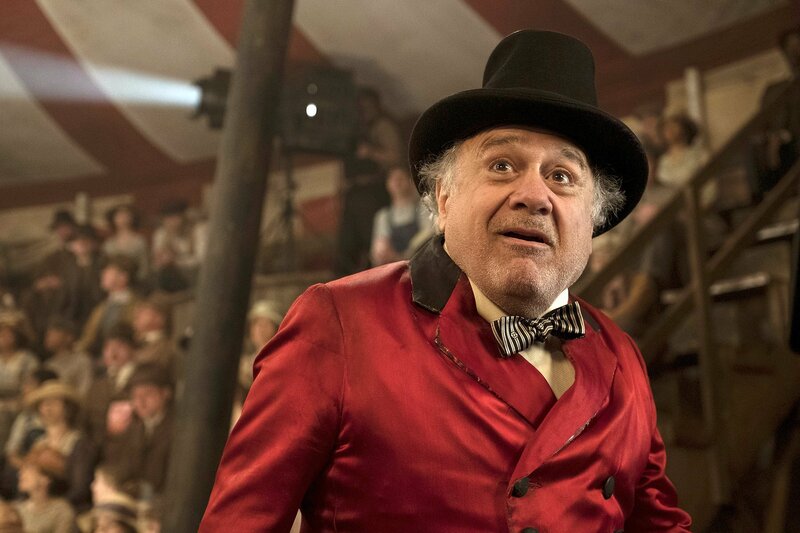 Danny DeVito stands out in the film for both his acting and as the only character that feels like he actually has some depth and growth throughout. And finally, while the ending is perhaps a bit over the top and predictable, I still found it exciting and enjoyable to watch. Maybe this film is better for children who will be interested in the visuals and excitement rather than the subtleties I’ve come to expect from a good Disney movie. Unfortunately, I can’t really think of anything else positive to say, so let’s get into it. My first thought was – why is anyone so bothered by an elephant with giant floppy ears? 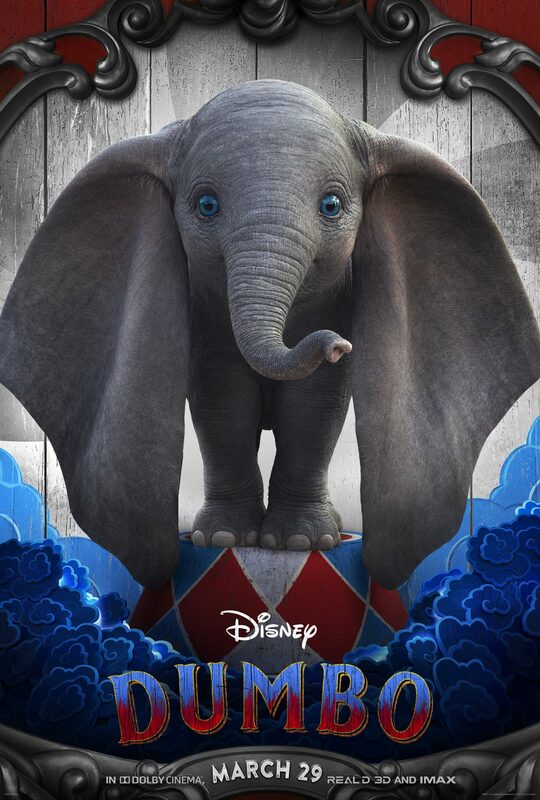 In the animated film it’s the other elephants making fun of Dumbo, which unfortunately reflects real life – if someone is very different physically, they are usually ridiculed. However, it feels odd that human beings would be so turned off by an adorable elephant with large ears. Especially at a circus, you’d think they’d want and expect to see an oddity like that. This is a minor complaint but still something that stuck out to me. All right, let’s talk about the kids. Milly Ferrier, Holt’s daughter, is played by Nico Parker and unfortunately comes off as totally unemotional. They try to make her an appealing character by having her as a young girl who is interested in science, not performing. Unfortunately, the way that they do this is by having her repeatedly say throughout the movie in a monotone voice: “I like science.” “I want to study science.” etc. It’s about as “hit you over the head with it” as possible. I don’t know if the deadpan sort of approach was a decision made by Burton or just poor acting, but seeing a young lady actually really passionate about science without having to say it would have been a lot more effective. Jason commented that she reminded him of Violet from A Series of Unfortunate Events but without any of the humor from that story. She has a younger brother, Joe, who is basically completely useless in the film. He has no real personality or character of his own, other than being a typical cute little kid that wants to help Dumbo. It felt like they threw him in there just because it felt like they needed to have 2 kids. For a movie that chose to make the story more about the humans than the animals, the character development was severely lacking. 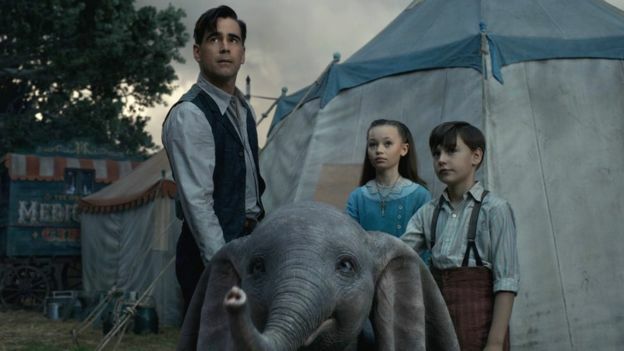 When Colin Farrell’s character started referring to Dumbo as “Big D,” I just couldn’t even anymore. (Couldn’t even what? I’m not sure, but that’s how I felt). Another major flaw was that the entire story felt extremely predictable. It’s pretty clear what’s going to happen next, and they don’t throw in any twists or turns of plot to keep things interesting. Michael Keaton is the most typical villain you’ve ever met, and I feel like we’re at a point in movies where we need a little bit more than that. It also feels like a movie that’s very self-aware of the current time period it’s in, rather than the time period of the story it’s trying to tell. Animals held in captivity can certainly be a hot topic today, but rather than treating this theme with subtlety we are once again hit over the head with it. If the movie had focused more on this fascinating issue and possibly eliminated the villain altogether I think it would have had a lot more intrigue and depth to it. I honestly expected more from Tim Burton – the circus setting would have been a good opportunity to bring just a little bit of weirdness into the story, but instead we get something that is totally wholesome and family fun. Not that there’s anything wrong with that, but you could always just watch the animated Dumbo instead. In the end, this movie feels like it only exists to put more money in Disney’s pocket by capitalizing on an already established name that is pretty well loved by Disney fans. 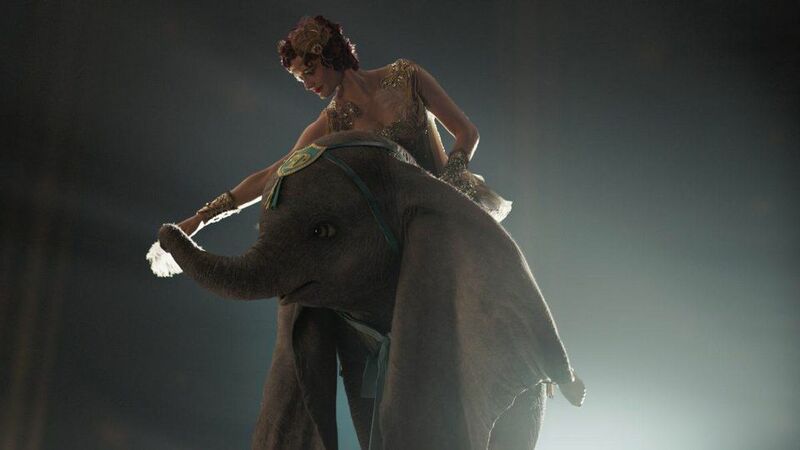 Have you seen the Dumbo live action movie? What do you think of it?